Superstar Rajnikanth and world beauty Aishwarya Rai as lead pair ‘Robo/Endhiran’ is directed by Shankar and produced by Kalanidhi Maran under Sun Pictures banner. Music is composed by the proud winner of Oscar and Grammy awards, AR Rahman. 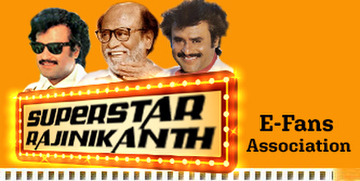 We all are aware of the grand audio launching ceremony of ‘Endhiran’ at Kuala Lumpur last Sunday, i.e., 1st of August. Now to release the Telugu version ‘Robo’ music, the team arrived at Hyderabad on August 6th. The lavish music launch took place at Taj Krishna amidst Tollywood biggies. It was hosted by anchor Jhansi. While Dr Chiranjeevi was the chief guest of the function, other prominent guests were Dr Mohan Babu, Dr D Ramanaidu, Superstar Rajnikanth, director Shankar, Sun Pictures CEO Hansraj Saxena, Kajal Agarwal, Bharat, Ramesh Prasad, Sreenu Vaitla, art director Raandi, cinematographer Ratnavel, lyricists for Telugu version songs Bhuvanachandra, Suddala Ashok Teja, Vanamali, dialogue writer for Telugu version Srirama Krishna, etc. After Vanamali’s speech Dr D Ramanaidu launched the screening of ‘Nee Kannullo’ song followed by the speeches by editor Anthony, cinematographer Ratnavel, actor Bharat, Ramesh Prasad, Kajal Agarwal and Dr D Ramanaidu. After Rajnikanth's speech, Chiranjeevi released the audio CD and presented to Rajnikanth.